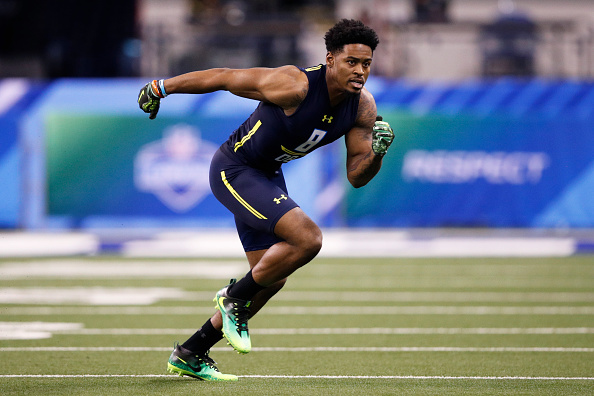 The Raiders did “miles and miles” of research before drafting Ohio State cornerback Gareon Conley with the No. 24 pick, general manager Reggie McKenzie said Thursday night, despite a still unresolved sexual assault accusation, Lindsay Jones of USA Today reports. Two witnesses in the hotel room, which was in Conley’s name, told police that an assault did not occur. McKenzie declined to detail the type of research the Raiders did in recent days, but said the team was “confident in all the information we gathered.” NFL Network reported Thursday night that Conley took a polygraph, though that team was not the Raiders. McKenzie said owner Mark Davis was consulted on the selection, as he is with all picks. “Bottom line, we’ve done miles and miles of research to make sure we were totally comfortable with our decision, which we were,” McKenzie said.